If you do not currently meet the entry requirements to study one of our Masters programmes, the Graduate Certificate in Business is designed to help you gain the skills, knowledge and confidence needed to successfully transition to Masters-level study. Upon successfully completing the course and subject to specific requirements, you will be able to join one of our range of Masters programmes with a detailed understanding of how business works. The Graduate Certificate in Business consists of 2 modules that will prepare you for the transition into our Masters programmes. These modules are designed to build your skills, knowledge and the confidence needed to study successfully at a postgraduate level. One has a focus on business strategy and examines a number of case studies to apply theory to useful real-world examples. The other module develops a range of academic and analytical skills required to be able to successfully critique business journal articles and theories at masters’ level. The business components of the programme introduces you to core business processes and the complex external environment in which organisations operate. A key purpose of this part of the programme is to develop your academic skills in areas such as enhancing your academic writing, learning styles, working in teams, developing critical thinking skills, understanding research and how to make effective use out of journal articles. All of these areas are considered in the specific context of business and management to allow you to enhance your knowledge in this area, develop your business and academic vocabulary and understand how to apply theory into practice. The modules have been developed to meet the specific needs of the students and are research-informed and highly contemporary, with appropriate links to enhancing employability signposted throughout. Lectures and seminars are interactive to ensure that you understand how to apply the theories that you have learned and give you the opportunity to demonstrate your learning and appreciation of business issues. You can expect to participate in highly interactive lectures and seminars to help you understand how to apply the theory into practice and we use a range of materials and case studies to support your learning during your studies. Teaching on this programme is delivered through interactive lectures and seminars, totalling around 10 hours per week. You will also be expected to engage in independent study involving directed and self-directed learning, around 30 hours per week. By participating in the mix of lectures, seminars and group project work that will form the basis of your course, you will build skills that are important for your future career alongside intercultural skills to help integrate with UK student life. This course is available both at our Newcastle Campus and our London Campus and offers the opportunity to progress on to Masters programmes running at either of our campuses. Find out more about our London Campus here. Meet your Programme Leader, Dr Yevhen Baranchenko. Studying our Graduate Certificate is the ideal preparation for studying one of our Masters programmes. A pass degree, this may also be known as an ordinary degree, a degree without honours in England, in Scotland an ordinary degree is a three year degree pass. If you have studied in England, this will be a third class degree. Students require IELTS 6.5 with no single element below 5.5, or equivalent. You must be over 21 years old. 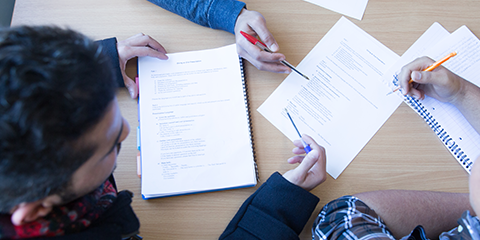 This module develops students’ ability to critically analyse journal articles and texts. It encourages critical debate and analysis – two crucial skills at postgraduate level. The module covers the following skills: researching information, analysing relevance of source materials, compiling a relevant literature review and understanding the requirements of academic referencing and more complex integration of citations/sources. In addition to this, students will learn to develop critical writing in response to texts and analyse more critically. All of these elements are considered in the specific context of business and management to allow students to enhance their knowledge in this area, develop their vocabulary and understand how to apply theory to practice. Students will be introduced to the complexities of the business environment and the various approaches to strategic management that can be used by firms to compete and survive in an international and dynamic environment. This module covers a wide range of areas including; the strategic position of the organisation, evaluating financial data and organisational reports, critically analysing business models, logistics, leadership, business ethics, marketing, managing strategic change and evaluating organisational performance. If you choose to progress on to one of our Masters programmes upon successful completion of your Graduate Certificate, you may be eligible for one of our scholarships, bursaries, or payment plans. Please speak to one of our team for more information. Enquire now to find out more information about this course, studying with us, the application process, and to ask any other questions you have. When you are ready, you can apply online to study the Graduate Certificate in Business. Applying online allows you to upload all of your supporting documents and you will automatically receive your student application number. When applying you will need to choose the postgraduate degree course that you intend to progress on to after your Graduate Certificate and you must state this on the application form. If you are accepted you will receive one offer letter for the Graduate Certificate followed by the appropriate degree programme. 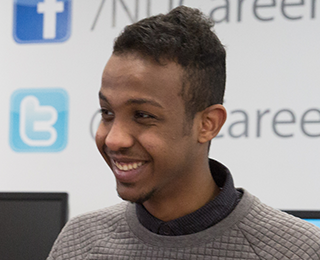 Once you have successfully completed the Graduate Certificate and achieved the required grades, you can gain direct admission on to your chosen postgraduate degree at Northumbria.